Philippine President Rodrigo Duterte said Thursday he might have cancer and added that "I don't know where I'm now physically" as he awaited the result of recent medical tests. "I don't know where I'm now physically but I have to wait for that. But I would tell you if it's cancer, it's cancer," the 73-year-old Duterte said to a Philippine Military Academy alumni group and top security officials. Duterte added that "if it's third stage, no more treatment. I will not prolong the agony in this office or anywhere." Rumors have swirled for some time that Duterte, known for his deadly crackdown on illegal drugs, might have a serious illness. Duterte and his aides, however, repeatedly said he was generally fit although he had grown tired of politics after serving for about 40 years in different government posts. "I really don't want it because I'm tired and I know that time's up for me," Duterte said, adding that physical limitations usually come at around age 70. "I can't say now if I really got hit or not," he said, noting that he has other illnesses such as Barrett's esophagus, a condition thought to be caused by stomach acid washing up into the esophagus. He has said in the past that he has sustained other ailments as a result of a motorcycle accident and drinking. "I did not stop drinking but no more, regret is like that. It always comes late. So it got worse," he said. 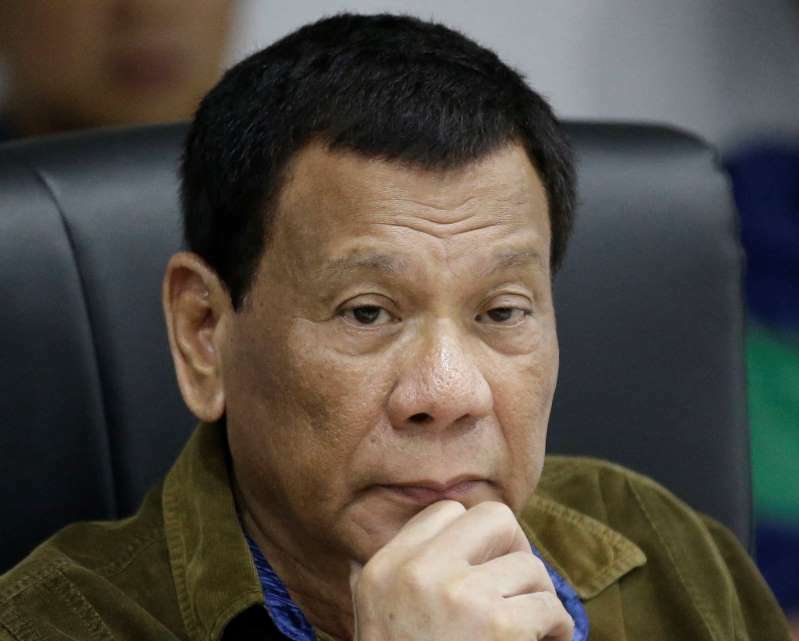 Presidential spokesman Harry Roque told reporters earlier Thursday that Duterte is fine but will inform the public if he has a serious ailment as required by the constitution. "The president is a lawyer. He will inform and conform with the constitution if there's a serious health ailment, but there is none," Roque said. Roque posted on his Facebook account a video of Duterte arriving Thursday for a conference at the presidential palace with top military and police officials to show that the president was at work. Roque and another key presidential aide, Christopher Go, made the assurance after rumors circulated that Duterte missed a ceremony Wednesday because he was hospitalized. Go denied the rumors and said Duterte skipped the event because he was tired from a provincial trip the day before and opted to go to a private meeting and have some personal time.